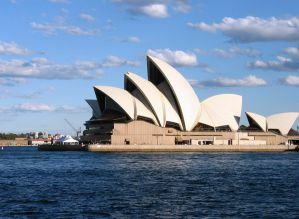 Sydney is a top destination for almost every visitor to Australia. Whether you're looking for a cosmopolitan nightlife, a beautiful city, or a cultural experience, Sydney has something for you. Sydney is also a popular destination for young backpackers who are looking to socialize, meet fellow travelers, and have a good time. Below are a list of some of the best party hostels in the city. How much do hostels in Sydney cost? This hostel is the perfect place for backpackers and young travelers who are looking for the best party in Australia. They have a licensed bar, a cafe, and a restaurant. It's located just across from Central Station and is easy to reach on the shuttle bus from the airport. It's only a few minutes from Chinatown, about 15 minutes on foot from Darling Harbour and Sydney Aquarium, and about twenty minutes from the Sydney Sky Tower. It's a half hour on foot from the Opera House and the Harbour Bridge. If you're looking to start or end your Australian vacation with a bang, then this is the place for you. It's one of the best places in town to meet fellow travelers and begin your trip. Base Sydney is a very central hostel with an ideal location, a great atmosphere, and plenty of activity. They hire a young staff that make sure the place is energized and entertaining for all guests. The staff know there area well and can help you decide where to go and what to see. This is the perfect place to meet other travelers. There are large dorms and plenty of common areas where guests hang out. The hostel is also great about offering group activities that keep everybody involved. The Scary Canary Bar is a great addition to the hostel and offers drink specials for guests every night. They also host a Wednesday Night Theme Party every week. Other amenities at the hostel include a 24 hour internet cafe, a full travel desk, laundry, and public phones. Base Sydney is also near all of the destinations that may be of interest to you. You'll have easy access to supermarkets, restaurants, bars and more. Bounce is next to the Central Station, connecting travelers to the light rail and several buses as well as almost every train line in Sydney. Located in the trendy suburb of Surry Hills, directly opposite Central Railway Station, Bounce Sydney provides budget accommodation just 10 kilometers from Sydney Airport. It features Free Wi-Fi throughout the hostel, a rooftop terrace, and a BBQ area offering views of Sydney. Bounce Sydney Hostel is situated in Sydney's artistic quarter with several chic bars and restaurants on the doorstep. Chinatown and the popular Crown Street and Oxford Street are both within a 10-minute walk of the hostel. Accommodation options include dormitories and private rooms, all are air-conditioned and have linen provided. The hostel uses a secure key card system and offers large lockers for every guest. Guests enjoy 3 communal lounge rooms and a separate TV room. There is a fully equipped shared kitchen which includes 8 refrigerators. Start the night off at the Bounce with a range of events including movie, food, and drink nights, party buses to nightclubs, and group outings to local bars. Reception desk is available 24/7 to assist guests. Buses to Bondi Beach and several other beaches are available just outside the hotel. Free city maps, Wi-Fi, and linens are included and towels are available for hire. Mad Monkey Backpackers Kings Cross prides itself on its amazing atmosphere where you can meet and socialize with other like-minded travelers. Their entertainments team will organize nights out every night and get you the best deals such as free entry and a free drink at local pubs/clubs. Please note that this is a hostel for international travelers aged between 18 and 35 years old. Therefore, a valid international passport must be presented at check-in. The building is cleaned top to bottom every day and although being on the main night club strip, the solid walls allow for a quiet sleep too. With free fast Wi-Fi throughout the hostel, a free hot breakfast, free local gym access, free tea/coffee, free Meal Nights a few times a week, free TV room with Netflix, cable, and 7 speaker surround sound, Mad Monkey KX is the best value for money in Kings Cross and popular for both short and long term guests. Linens are included and towels are available for hire. Located seconds from the sand and surf, Bondi Backpackers boasts one of the best views of Sydney's most iconic destinations - Bondi Beach. Making it perfect for travelers wishing to experience the amazing beach culture of Bondi and its surrounds. The recently refurbished property is home to a spacious rooftop furnished with umbrellas and deck chairs showcasing panoramic views of Bondi Beach, the coastline and its surrounding area. The multi-story hostel offers a range of room types from private twin and double rooms to 4 and 6 share mixed dorms with a number of premium dorm options looking straight over Bondi Beach. Bondi Backpackers plays host to a range of complimentary lifestyle activities such as rooftop yoga classes, personal training sessions, and walking tours along the picturesque Bondi to Bronte coastline. For guests looking to try their hand at Australia's most famous past time - free surfboard hire is also on offer. After a day of fitness and fun guests can unwind and mingle with a selection of weekly social events, from beach BBQs to wine and cheese nights and the not be missed; famous Aussie BBQ every Friday night on the rooftop! For those wanting to venture further - the very best of Bondi's vibrant nightlife lies right at their doorstep waiting to be explored. Please note this is an over 18 hostel only. Free city maps, Wi-Fi, and linens are included and towels are available for hire.